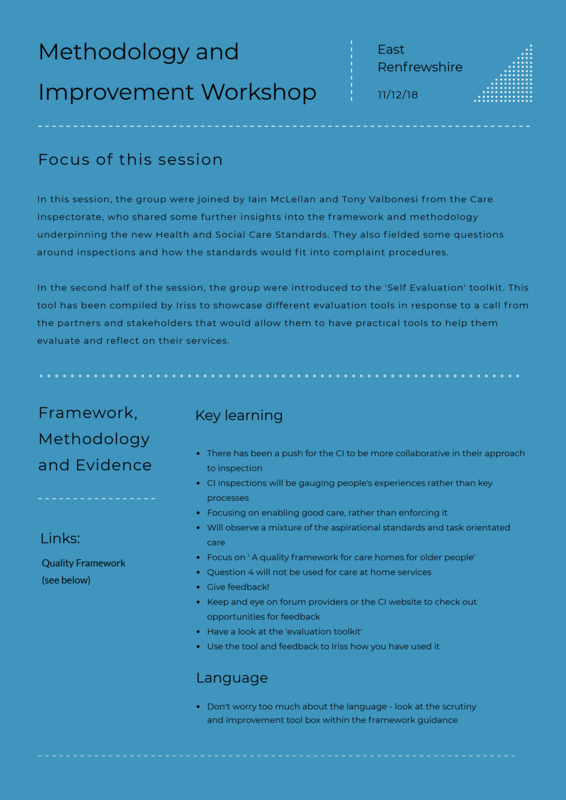 In this session, the group were joined by Iain McLellan and Tony Valbonesi from the Care Inspectorate. Both of the Inspectors came to the session to talk to the group about the methodology and framework underpinning the standards. There had been a large gap in time between the previous session and this one. This had been largely circumstantial, but also because there was a push from the group to have the Care Inspectorate represented at the sessions, in order to collectively reflect on what we were doing. Iain and Tony were able to address some of the points we had previously discussed and gave us further insight into the care standards framework. 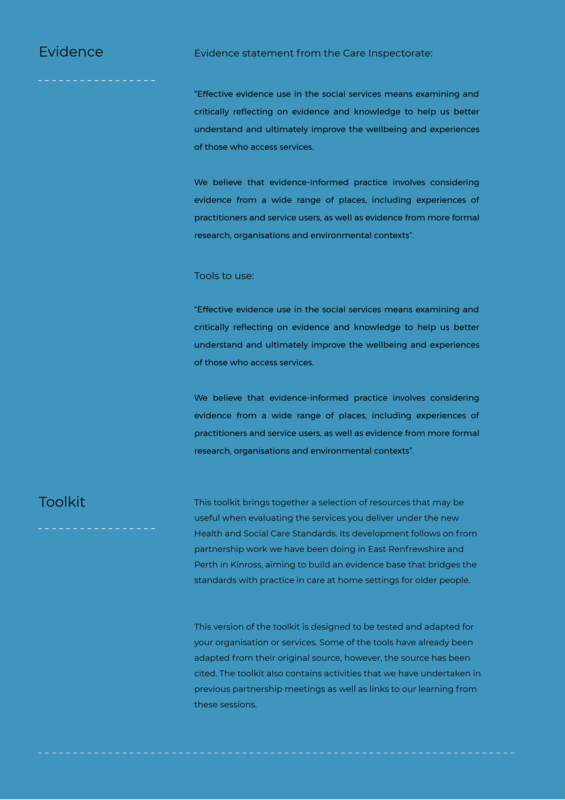 In the second half of the session, participants were introduced to the ‘Evaluation Toolkit’. It is hoped that they will be able to test and evaluate the resources in their organisations and feedback to Iriss in the near future. The toolkit brings together a selection of resources that may be useful when evaluation the services you deliver under the new Health and Social Care Standards.